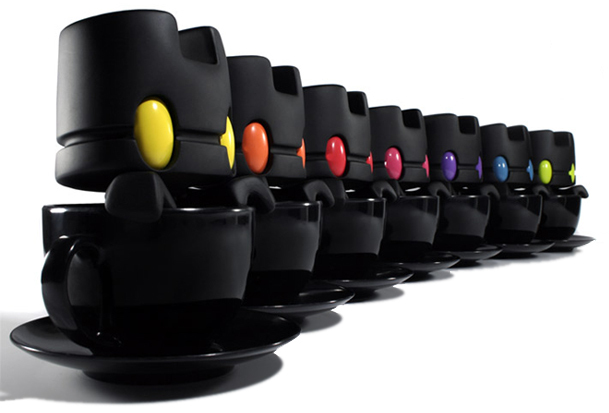 Matt JOnes, otherwise known as Lunartik, has produced a new ‘super infused’ range of his cup of tea figure, in 7 colour options. The black figure comes with eyes in yellow, orange, red, pink, purple, blue, and green, each colour limited to 30 pieces, making a run of just 210 units in total. The 6.5″ figure also comes with silver stirrer and sugar cubes, inside it’s own cup and saucer. It’s a great chance to pick up one of the figures if you didn’t manage first time around, or if you’re just looking to add to your collection. They’re available from Lunartik now, while stocks last.